You must be a member of the Santiago de Chile Beyond 50's Group to attend this activity. Would you like to join this group? Chinese New Year is just around the corner. 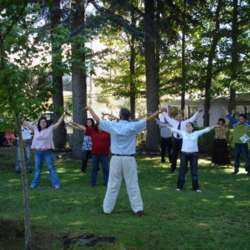 What a great excuse to gather the 50´s and plus wonderful people to a great Tai Chi class taught by one of the Internations members. After the class we will meet at a Japanese Restaurant to celebrate the Chinese New Year, while cheering with a warm sake.